In recent years, the foreign policies of Gulf states, especially Saudi Arabia and the United Arab Emirates (UAE), have become increasingly assertive. Heightened perceptions of threats to security, spurred by significant changes in the global and regional geopolitical balances of power, have driven Saudi and Emirati leaders to assert such muscular policies. However, the power nexus created by the alliance between Riyadh and Abu Dhabi has greatly underpinned this new strategic posture. The Crown Prince of Saudi Arabia, Mohammad bin Salman (MbS), and the Crown Prince of Abu Dhabi, Mohammad bin Zayed (MbZ), have been often, and closely, coordinating. Therefore, the impact of the Saudi-Emirati alliance cracking would likely be felt across the region. The stress test of such alliance has long been the war in Yemen against the Houthi rebels and the remnants of the former regime led by Ali Abdullah Saleh and the General People’s Congress. Although fighting together in this coalition since March 2015, Saudi Arabia and the UAE’s divergences vis-a-vis Yemen have shown. Riyadh has predominantly focused on fighting in the north of the country, backing the internationally-recognized government of Abdrabbuh Mansour Hadi and its Yemen National Army, while also reaching out to tribal and Islamist forces such as al-Islah (the Yemeni Muslim Brotherhood). 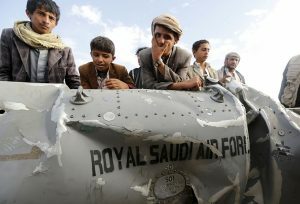 The UAE has instead exerted its efforts mainly in the south of the country, backing and training forces such as the Security Belt—recently re-grouped as Southern Resistance Forces (SRF), whose agenda includes a degree of hostility toward Islamists as well as securing independence of southern Yemen from a central Yemeni government, currently represented by Hadi. These fundamental political tensions within the Saudi-led coalition, simmering since the liberation of Aden from Houthi control, and occasionally surfacing through limited violent clashes or confrontations, initially seemed to have reached a tipping point in the end of January 2018. On January 30, after two days of fighting, SRF fighters seized government buildings, where the Hadi government is temporarily based, the lucrative container port and the refinery in the city of Aden amid fierce clashes with pro-Hadi forces. Fighting broke out amid a deadline set by the separatists for Hadi to dismiss Prime Minister Ahmed bin Dagher and his cabinet, accused of corruption and discrimination against the South. Various officials in Hadi’s government quickly accused the separatists of sedition and staging a coup, while calling on Saudi Arabia to intervene in the situation. However, on the frontline, Emirati troops, as well as Saudi contingents, stood idle. In terms of political responses, Anwar Gargash, UAE Minister of State for Foreign Affairs, issued a generic call for unity. Most importantly, declarations from Riyadh have also been curiously mild, with the Saudi ambassador to Yemen, Mohammad al-Jaber, simply calling for the cessation of hostilities and thus, de facto, accepting the new reality on the ground of SRF control over Aden. Already on January 29, Aidarus al-Zoubaidi, leader of the SRF’s political wing, the STC, had declared that the Council had “begun the process of overthrowing Hadi’s rule over the South”. Notwithstanding, the envisioned rift within the coalition forces did not escalate into a full-blown rupture. To the contrary, on February 6, less than a week after the events in Aden, commander of government troops in Yemen’s Red Sea front announced that a contingent of the Yemen National Army, amazingly with the support of forces loyal to the Southern Transitional Council, assisted by way of air strikes by the Saudi military, had taken the district of Hays from Houthi control. The district has a strategic position, linking the three governorates of Hodeidah, Ibb, and Taiz. For the Saudis, wrestling control of Hays from Houthis would mark important progress toward an assault against the Port of Hodeidah, which has been a long-standing objective in Riyadh’s military strategy. High-ranking Saudi military officers consider controlling Hodeidah as necessary for securing navigation in the Red Sea and cutting the main route of Iran’s supplies, including ballistic missiles, to the Houthis. The north-south joint operation in Hays, under a Saudi umbrella, is clearly an indication of the prioritization of the Houthi threat over other political issues in Yemen. However, the joint operation’s timing and the contextualization in the political dynamics developing between Saudi Arabia and the Hadi loyalist camp might leave room for a grander interpretation. Discontent and frustration in Riyadh against the political performance of Hadi’s government and its entourage, as well as the military performance of the Yemen National Army are not new. Once the assassination of former President Saleh put an abrupt end to his short-lived decision to break his alliance with the Houthis and open a dialogue with Riyadh, the prospect of putting an end to the expensive war seemed even more remote. The new leader of the General People’s Congress, Sadeq Amin Abou Rass, denounced the Saudi aggression against Yemen upon his election. Saudi Arabia had placed hopes on the military prowess of Major General Ali Mohsen al-Ahmar, who since 2016 has been the vice president of Hadi’s government and deputy commander of the armed forces, close to tribal and Islamist groups. Yet the Major General has been as hesitant on capitalizing on Saleh’s turnaround as he has been in putting forward a strategy for dealing with his death. Sources say his morale has been tested and weakened. Amid this background, it becomes harder to postulate a breakdown in the Saudi-Emirati coalition over the Yemeni southern secessionists aspirations. The SRF, cherishing the prospect of some form of independence, might be the only force motivated enough to push the conflict against the Houthis on the Red Sea coast. In fact, the Saudi-Emirati alliance might just have weathered its latest – and, to date, greatest – Yemeni stress test. 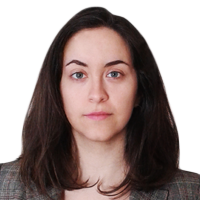 Cinzia Bianco, Cinzia Bianco is an analyst and researcher with the geopolitical risk consultancy Gulf State Analytics. Previously she carried on a Research Fellowship in the GCC region for the European Commission’s “Sharaka” project, researching EU-GCC relations.